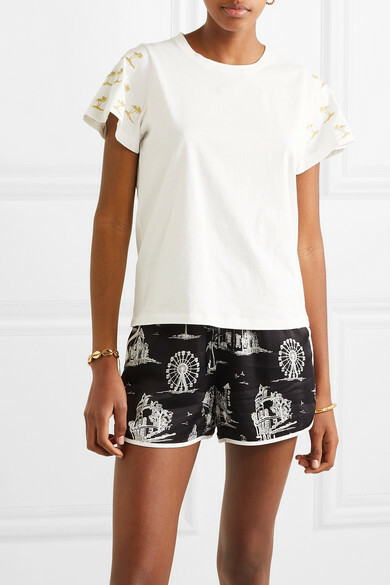 Maje's tee is cut in a classic boxy shape and set apart from its counterparts by Moroccan-inspired details. 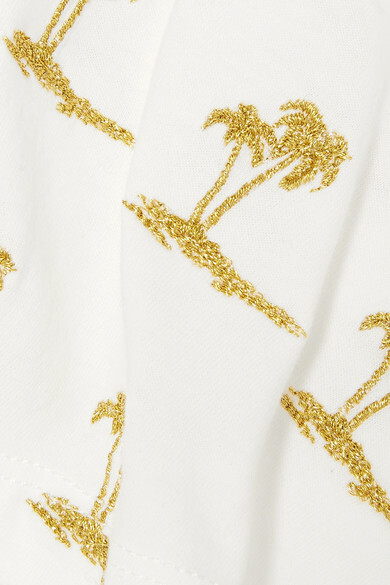 Cut from lightweight cotton-jersey, each sleeve is embroidered with a collection of golden palm trees. 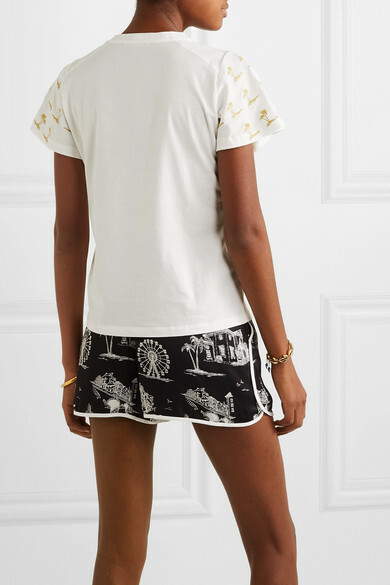 Wear yours without a jacket to keep them on display. 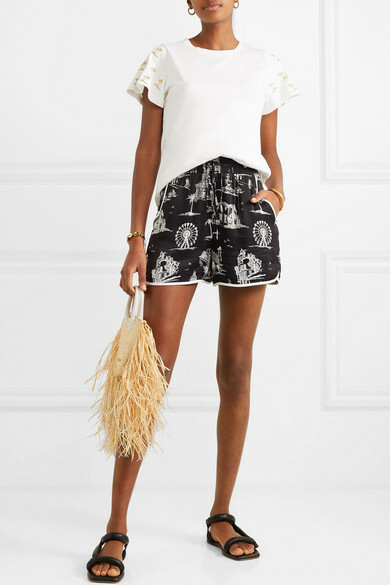 Shown here with: Maje Shorts, Jacquemus Tote, Nanushka Sandals, Tohum Bracelet, Alighieri Bracelet, Sophie Buhai Earrings.